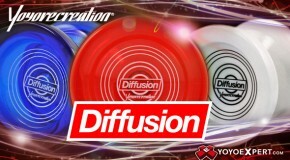 The Amazing New Yoyorecreation Diffusion is now available in Cool New Colors! Check it out in Translucent Red, Translucent Blue, or Solid White! NEW DIFFUSION AVAILABLE HERE!